Invisalign® straightens teeth to give you the confidence of a great smile. Using a series of clear, virtually invisible aligners, Invisalign gently and gradually moves your teeth based on the treatment plan prescribed by your dentist. There are no wires or brackets, so you’ll have confidence in your smile during and after treatment. In fact, most people won’t even know you’re wearing braces at all, and the aligners are removable so you can eat whatever you want and easily brush and floss as you normally would. The virtually invisible aligners, which are made of a thermoplastic material uniquely developed for the Invisalign® treatment plan, look similar to teeth-whitening trays. 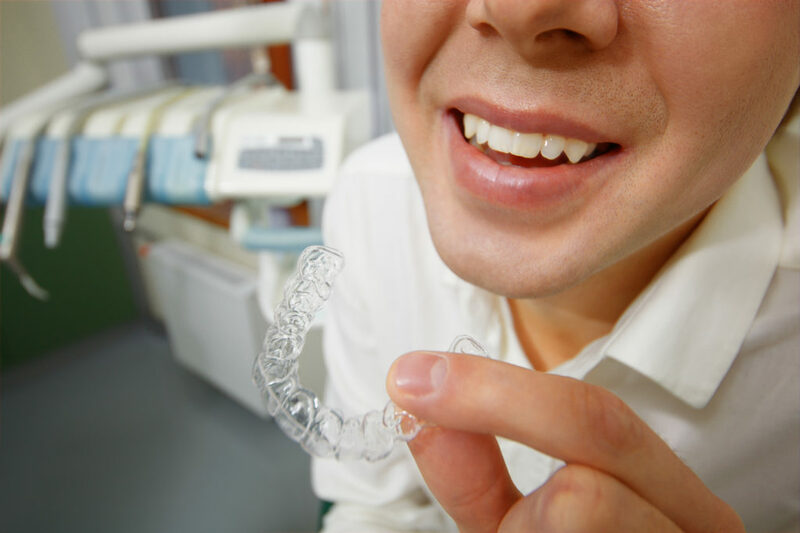 A series of aligners are custom-made for you, to move your teeth in the sequence determined by your doctor. Each set of aligners is worn for about two weeks before moving onto the next set of aligners in your treatment plan. In most cases, the treatment is comparable to the cost of traditional braces. At our office the cost usually ranges between $4000 and $6000, but is very case specific and depends on treatment time. Because dental benefits differ from policy to policy, you should review your personal coverage plan and check with your insurance provider. In general, if a patient has orthodontic coverage, Invisalign® should be covered to the same extent as conventional braces. Yes. Over 1.5 million patients with a wide variety of dental challenges have been treated with Invisalign: it was developed with orthodontists and is used in dental practices worldwide. To see if Invisalign® is right for you call our office to book your free consultation.